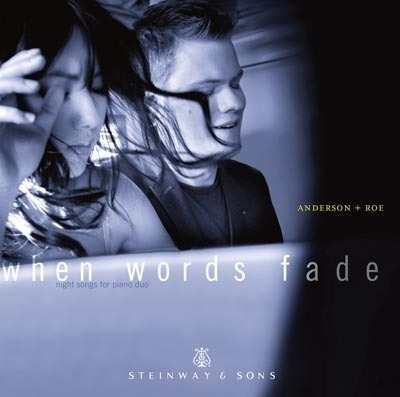 Known for their adrenalized performances, original compositions, and notorious music videos, Greg Anderson and Elizabeth Joy Roe are revolutionizing the piano duo experience for the 21st century. 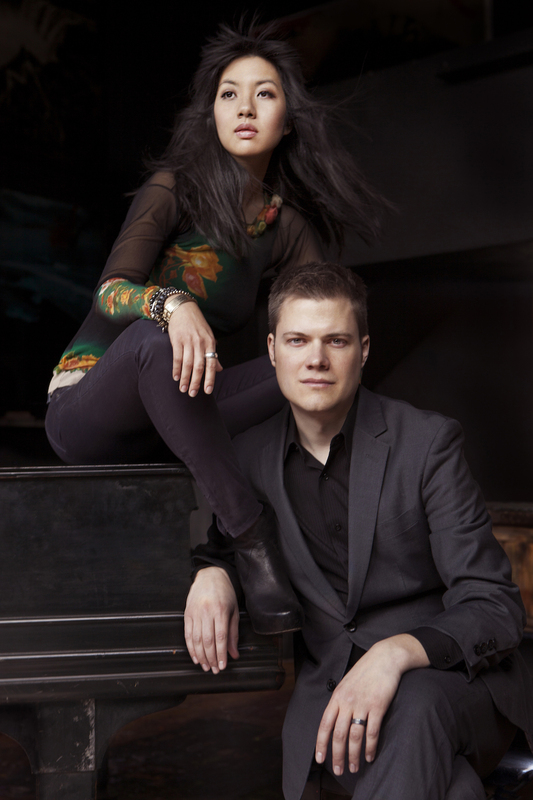 Described as and “the most dynamic duo of this generation” (San Francisco Classical Voice), “rock stars of the classical music world” (Miami Herald), and “the very model of complete 21st-century musicians” (The Washington Post), the Anderson & Roe Piano Duo aims to make classical music a relevant and powerful force around the world. 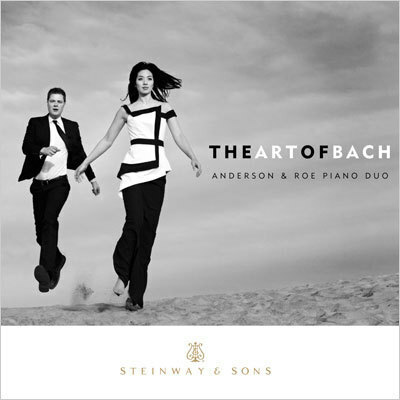 Their albums on the Steinway Label (When Words Fade, An Amadeus Affair, and The Art of Bach) were all released to critical acclaim and have spent dozens of weeks at the top of the Billboard Classical Charts, while their Emmy-nominated, self-produced music videos have been viewed by millions on YouTube and at international film festivals. Highlights of their past 2017/18 season included recital and concerto appearances throughout North America (including their Kennedy Center debut), Europe, Asia, and New Zealand; the release of their latest album, Mother; webcast hosting for the Van Cliburn International Piano Competition; and the introduction of a new music competition which awarded the winning composer an Anderson & Roe-produced music video. Anderson & Roe met in 2000 as freshmen at The Juilliard School and formed their dynamic musical partnership shortly thereafter. They have since toured extensively, with notable recitals in the United Kingdom, Switzerland, Germany, Austria, Italy, Estonia, Israel, Singapore, China, Hong Kong, Taiwan, South Korea, Japan, and most major US cities, as well as in nearly every New York City venue imaginable, from Carnegie Hall to children’s hospitals. 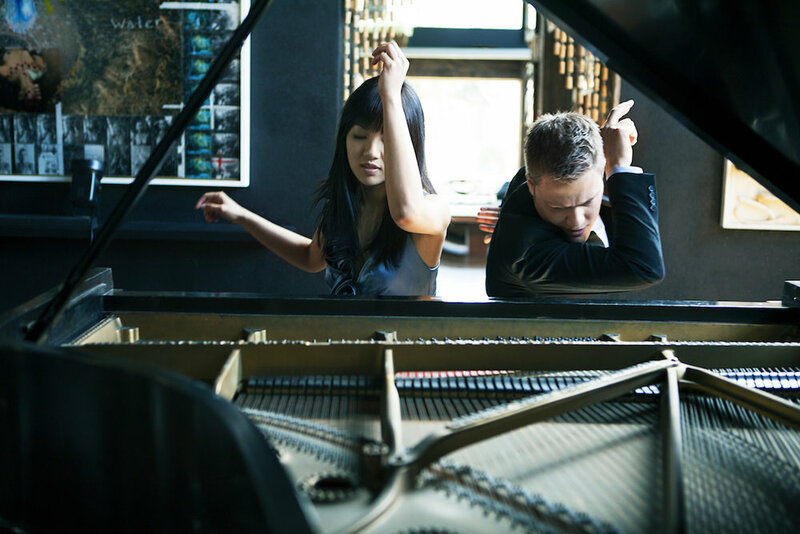 They have appeared at the Gilmore and Gina Bachauer International Piano Festivals, the Mostly Mozart Festival, the Cliburn Concert Series, and dozens of summer chamber music festivals. Anderson & Roe’s concerto engagements include performances with the orchestras of San Francisco, Vancouver, Rochester, Liverpool, Calgary, Hartford, Boulder, Chautauqua, Waco, and Winnipeg, among others, and with members of the Metropolitan Opera Orchestra. In 2015, Anderson & Roe premiered Brahms’ Double Concerto in their arrangement for two pianos and orchestra with the Performance Santa Fe Symphony. The duo’s exploits have captured the attention of such media outlets as MTV’s Total Request Live, NPR’s All Things Considered and From the Top, APM’s Performance Today, PBS’ Texas Music Cafe, and BBC’s In Tune, as well as Gramophone, Clavier Companion, Listen, and Pianist magazines, and the Huffington Post. They are profiled in Nick Romeo’s book, Driven. In recognition of their singular vision for the advancement of classical music, they have been invited to present at numerous international leader symposiums, including (Entertainment Gathering), the Imagine Solutions Conference, Chicago Ideas Week, and Mexico’s Ciudad de las Ideas. 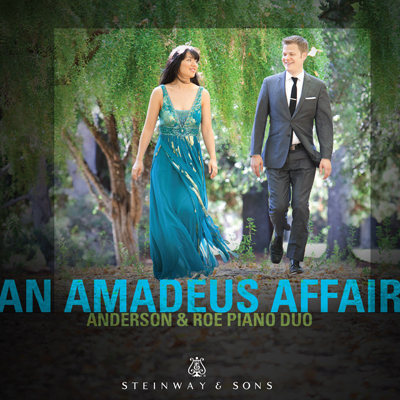 Their scores are published by Alfred Music on the “Anderson & Roe Duos & Duets Series” and by Awkward Fermata Press. Anderson & Roe left an indelible impression at The Juilliard School, where they both earned their bachelor’s and master’s degrees. A live performance by Anderson & Roe was handpicked to appear on the Sounds of Juilliard CD celebrating the school’s centenary. In 2006, given only two months to compose and prepare, they gave the world premiere of their own composition “Four Fantasies on Themes from Star Wars,” replacing John Williams on Juilliard’s “Cinema Serenades” concert in Alice Tully Hall. Additionally, the two directed the groundbreaking project “Life Between the Keys,” a performance project that celebrated the unique camaraderie of Juilliard’s 2004 piano class and chronicled its experience in an all-American program of piano music.